Today's letter was written by Corp. Elias H. Witmer of Company E, 79th Pennsylvania, on October 19, 1861, as Col. Hambright's regiment traveled down the Ohio River to a destination of Louisville, Kentucky, with two other Pennsylvania regiments that made up Gen. James Negley's brigade. 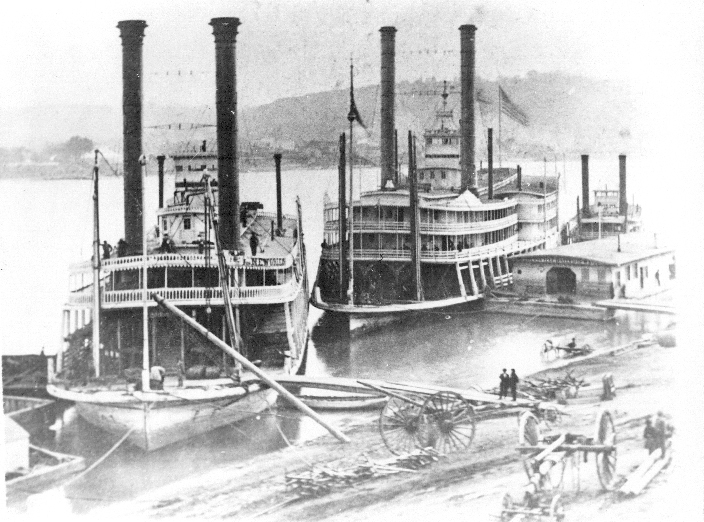 The almost 3,000 men occupied six steamboats, and you can visit the site "Georgetown Steamboats" to learn more about the boats and the mode of transportation. I'll have more about the accident and the fallout from the accident in another post.